Topping the list is the all-concrete bathroom. While this might sound too industrial or severe, homeowners are looking to incorporate these elements to give their spaces a sparse feel but with great leeway for decoration. Concrete is great for this, as it can become a neutral canvas for the owner’s tastes. In 2019, people are in love with the idea of the Classical Age, with the (re)emergence of such movements as vaporwave that incorporates Japanese retro-futurism and Classical Roman sculptures. Bath Planet of SW Virginia suggests using Victorian themes with dark walls, mosaic floor tile and gold-trimmed walk in tubs to take this style on. The early 2010s focused on utility, minimalism and neutral colors. This year, though, we’re back to basics with dark wooden panels, like mahogany and walnut (even oak with a dark, moody finish) round off this look, with intricate woodwork and impeccable craftsmanship. If you’re not a fan of storing items in the bathroom like shampoo bottles, you can use seamless surfaces that not only reflect light but make cleaning up easy and painless. Ceramic and marble vanities and sinks are great, timeless choices. Make sure you choose one that can’t store anything, though! 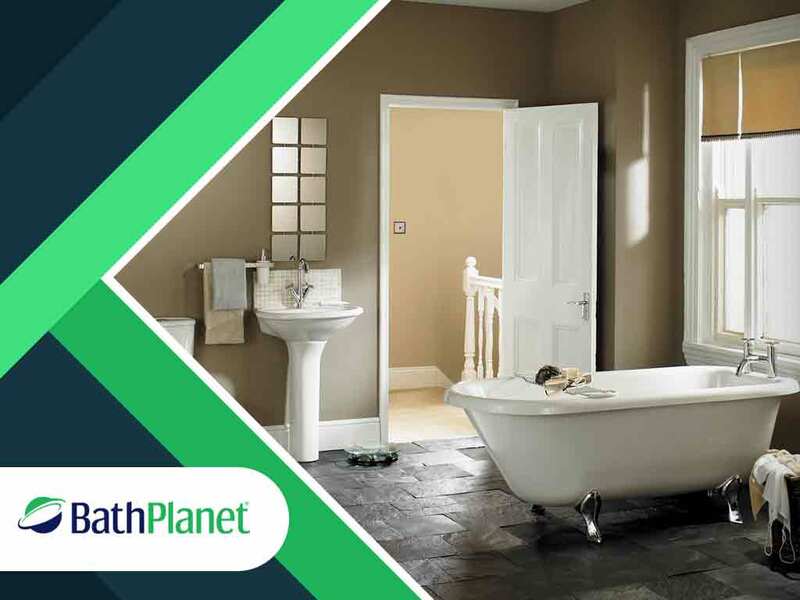 Bath Planet of SW Virginia is your bathroom remodeling company of choice, from traditional shower to tub projects to more comprehensive remodeling endeavors. Call us today at (434) 333-7742 or fill out our online form for a free estimate. We serve Lynchburg and Roanoke, VA.